La Jolla Aesthetic Center located in San Diego CA Jolla is pleased to offer the HydraFacial™ to San Diego, California. This facial treatment gives patients the results they’ve always wanted- skin that’s glowing and most importantly, skin that’s healthy. 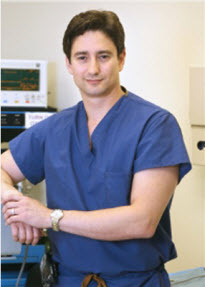 Dr. Roy David, board certified Facial Plastic Surgeon and facelift specialist, has been in practice for over ten years you can learn more about Dr. David at his website http://www.sandiegoface.com. He establisted the Aesthetic Center of La Jolla to offer his patients cutting edge noninvasive treatments to slow down and reverse the effects of aging and sun damage on skin. New clients receive a complimentary evaluation and are offered comprehensive options to fit their needs. To learn more about aesthetic services offered at Dr. David's medspa you can visit them online at http://sandiegoface.com/non-surgical-procedures/. The Aesthetic Center of La Jolla is located at 3252 Holiday Court, Suite 206, in La Jolla, CA 92037. Please call (858) 658-0990 for more information, or visit their website at http://sandiegoface.com/hydra-facial-san-diego/. The HydraFacial™ was developed by Edge Systems Corporation, a worldwide leader in developing advanced aesthetic technologies. Located in Southern California, the company is known for its high quality, leading edge skincare products and systems. 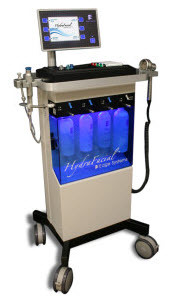 See http://www.edgeforlife.com or http://www.hydrafacial.com for more information.